1st picture was suitable for continuous operation in all areas under adverse climatic conditions. Frequency Coverage : - 150 to 500 Mc/s in 6 ranges. Range 1 : - 400 to 500 Mc/s. Range 2 : - 330 to 400 Mc/s. Range 3 : - 270 to 330 Mc/s. Range 4 : - 220 to 270 Mc/s. Range 5 : - 180 to 220 Mc/s. Range 6 : - 150 to 180 Mc/s. Aerial Input : - 75 ohm (nominal) unbalanced. Power Supply : - Single-phase AC mains 100/125v and 200/250v (40 to 60 c/s). 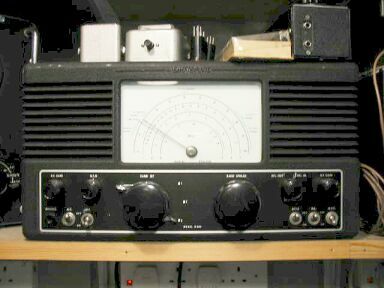 2nd picture was a single conversion communications receiver covering the frequency range 19 to 165 Mc/s. Provision was made for the reception of CW, AM, FM and NBFM signals and the receiver operated directly from all standard AC mains supplies. Advance design, rugged construction and high quality components were employed throughout , continuous operation was possible in all areas regardless of climatic conditions. 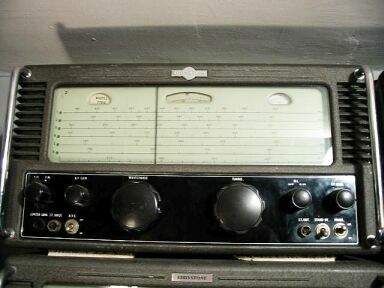 Ease of operation was assured by the convenient and logical placement of the major controls, while the directly calibrated scales clearly indicate the frequency to which the receiver was tuned. Provision is made for connection of an external loudspeaker, but where loudspeaker reception was impracticable telephones could be used. 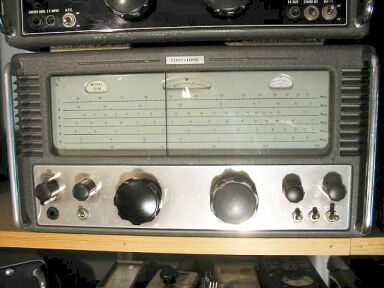 Facilities were also available for feeding the output from the receiver over remote lines to a distant listening point. 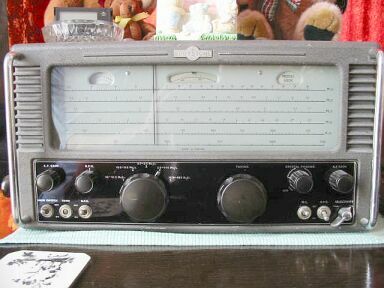 In addition to its use as a communications receiver, the S770R had many applications as a test instrument. In this role, the wide continuous frequency coverage, the simplicity of tuning and the built- carrier level meter were all valuable assets. 19 to 165 Mc/s in 6 ranges. Range 1 : - 114 to 165 Mc/s. Range 2 : - 78 to 114 Mc/s. Range 3 : - 54 to 78 Mc/s. Range 4 : - 39 to 54 Mc/s. Range 5 : - 27 to 39 Mc/s. Range 6 : - 19 to 27 Mc/s. The intermediate frequency is 5.2 Mc/s with variable selectivity. The BFO was pre-set to give a beat note of 1000 c/s. Power Supply : - 100/120volts or 195/250volts AC (40 to 60 c/s). Consumption : - 90 volt-amperes. This unit weighs 60lbs - 27.2kg. 3rd picture had a frequency range from 480 kc/s to 30 Mc/s. It was of the super heterodyne type and used a total of fifteen valves. The construction and workmanship were of a high order. The 680X operated from standard AC mains. Frequency Coverage :- 480 kc/s to 30 Mc/s in 5 ranges. Range 1 : - 30 to 12.3 Mc/s. Range 2 : - 12.5 to 5.3 Mc/s. Range 3 : - 5.7 to 2.5 Mc/s. Range 4 : - 2.5 to 1.11 Mc/s. Range 5 : - 1120 kc/s to 480 kc/s. The intermediate frequency was permeability tuned to 450kc/s, the coupling between the coils being varied mechanically by a panel control to give a wide range of selectivity. The BFO had a range of plus or minus 3 kc/s. Aerial Input : - 400 ohm (nominal). Power Supply : - 100 and 200-250 volts AC (40 to 60 c/s). Consumption : - 80 watts approximately. This unit weighs 47 lbs - 21.3 kg.